The West Cork coastline doesn’t yield its beauties easily. You can drive for miles on roads marked Wild Atlantic Way that give surprisingly little clue as to what lies offshore. You really need to get right off the main drag and down into the squiggly bits on the edge of the map. That’s where you’ll get a sense of the intricately knotted coastline with its headlands, ruined clan castles and remote coves. 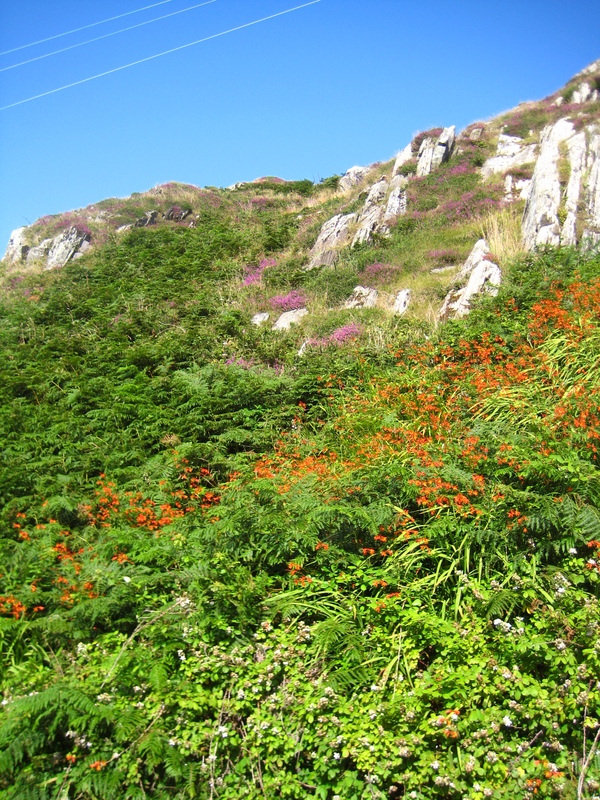 Better still, take yourself up onto higher ground, at Mount Gabriel or on the hills overlooking Lough Hyne, to get a vantage point on the dizzying profusion of islands. But if you want to encounter those islands up close, you’ll need to head for Roaringwater Bay. The thing about Roaringwater Bay is that the water roars a lot less than it would do were it not for the islands. 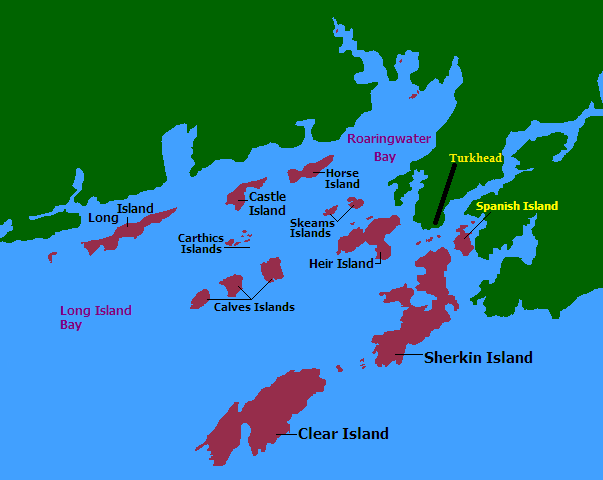 The topography of the place means that Cape Clear (the most southerly island) acts as a buffer against that wild Atlantic, so that the waters here are relatively sheltered. 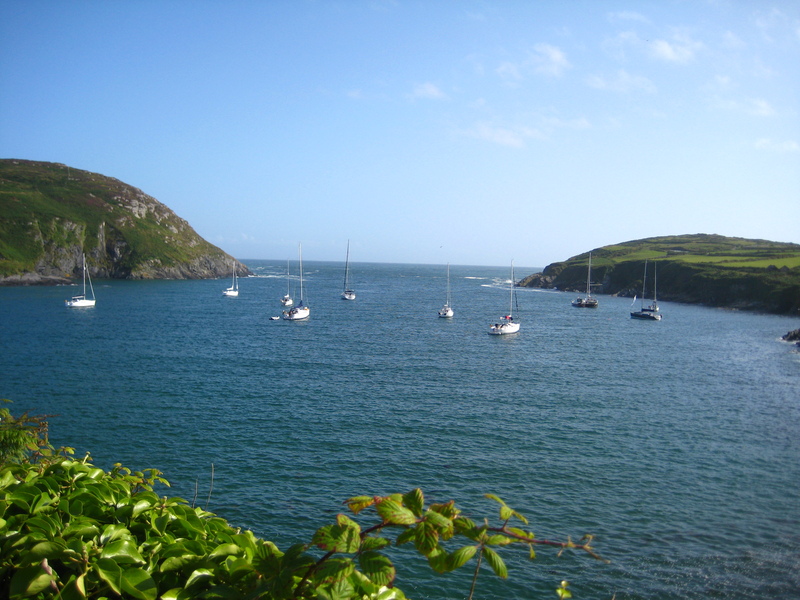 Should you travel out in a small boat — which you can hire from either Baltimore or Schull — you’ll notice the sea conditions change as you move from island to island, in and out of shelter. The Gascanane, a stretch of water between Cape and Sherkin, is a notoriously turbulent spot, but that’s nothing to what it’s like if you venture round the back of Cape. Here, on the Atlantic side, you can suddenly find yourself in a big swell, with a real feeling of having left the mainland far behind. This is the deepwater territory of minke, fin and humpback whales, dolphins and porpoises, with a faint line of tankers on the inshore shipping lane just visible on the horizon. Next stop, Spain. In the past 15 years or so, we’ve spent a lot of time on these waters in all kinds of conditions. We’ve wild-camped on Castle Island, close to our base at Schull, and on Skeam East, probably my favourite island. Skeam no longer has a functioning a pier, which means you need to anchor offshore or pull your boat up onto the shingle – either way, you’ll be jumping off and wading in. The middle of Skeam East has almost worn right through, and there are beaches on either side of the central spit, a little knot of ruined houses with circles of stones bearing the remains of old campfires, cattle put out for summer grazing. And a rock arch high over an inlet. Our kids used to take running leaps off that arch, which seems crazy to me now. There is also, in among the rocks and crevices, a mysterious stretch of rich grass, lush with wildflowers and wide as a runway. I’m sure that signifies something, but what? A small child promised me once that, when he’s King of the World, that island will be mine — so I’ll find out then…. As for Roaringwater Bay itself, there is something domestic about the islands, in summer at least, when the waters are frequented by leisure fishers, kids in dinghies, people looking for a beach on which to picnic. But this is no longer the thriving year-round community it once was. As a child, a friend’s father lived on Castle Island (named for the ruined keep of the O’Driscolls, who once ruled the rich fishing grounds round here and whose castles are dotted around the coast). She talks of how he would hunt rabbits on the island for sale to the cottage hospital at Schull for the weekend pot roast. His Saturday night meant rowing over to the mainland in all weathers, tying up at Dereenatra pier just under the big house, cycling to Schull to drop off his catch at the hospital, cycling a further 6 miles or so to the dance at Ballydehob, before returning to the pier to row himself home. The main inhabited islands can all be reached by ferry, which is an ideal way to get a sense of the place. Year-round ferries depart from Baltimore for the biggest two, Sherkin and Cape. These are beguiling places. Sherkin, much closer to the mainland than Cape, feels like an annexe of the little town of Baltimore, but Cape is truly offshore. When I created Lamb Island for Siren, Cape was the inspiration — I borrowed its ‘feel’ and much of the geography. But there’s a lot of invention in there too – so if you do get a chance to visit, don’t worry too much about that rented house. I’m sure you’ll be fine. Thanks to Annemarie for the wonderfully evocative and enticing tour of Roaringwater Bay. After a prologue that is both arresting and disorienting, I found myself instantly drawn into this elegantly written story of revenge, redemption and the search for justice. The skillful juxtaposition of the past and present, and of the three locations – the present day thread set on Lamb Island – makes for a fast flow and almost intolerable mounting of tension right to the final word. 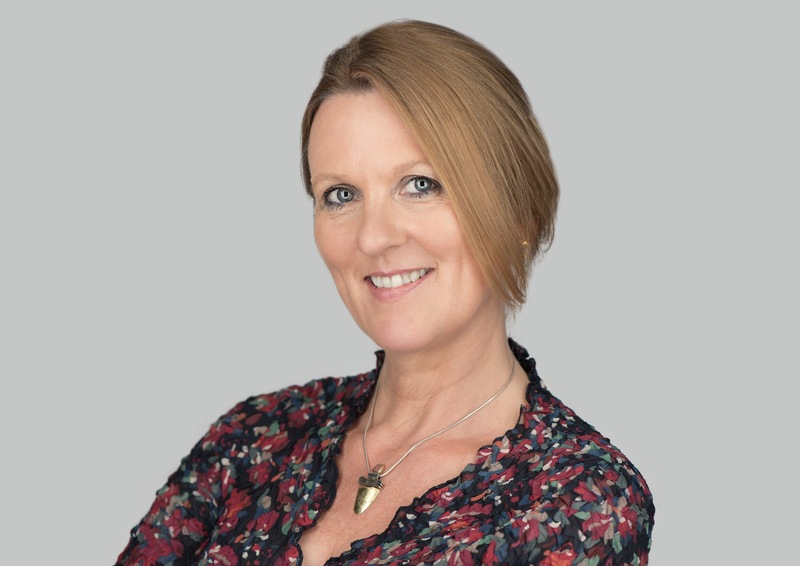 The sense of place is transporting, the psychology engaging, with the reader obliged to become invested in the dramatic events that underpin Róisín’s motivation and actions, and her experience as a stranger arriving from New York to spend time in a tiny isolated community. 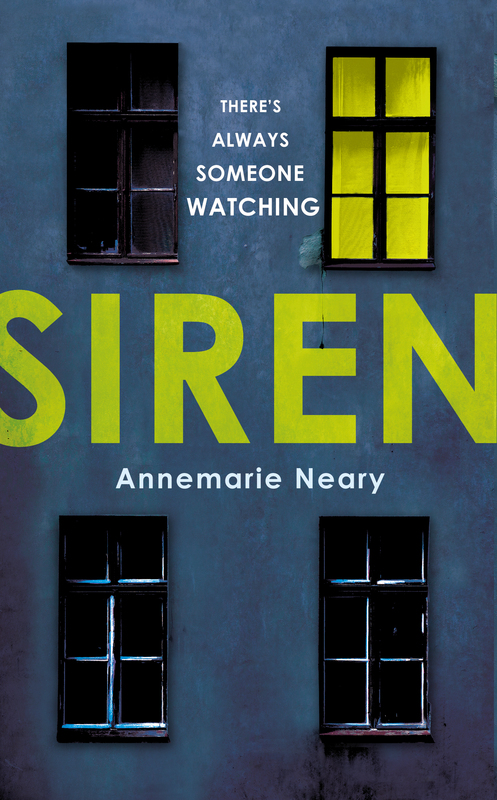 There is a depth and plausibility to Siren which make ‘literary thriller’ a good descriptor – it is compelling but doesn’t feel contrived. Most of the novels I read (maybe just most novels?) are at some level about coming to terms with the past and that really makes the good ones stand out! No post next week – we are taking a family trip to Sorrento and Naples and I’ll probably do a travel post on my return. Thanks for your personal tour of one of my favourite places. We holiday in West Cork every year and know this area very well. Over the years we’ve walked up Mount Gabriel, and I’ve cycled from Baltimore to Schull. My husband gets most upset if he doesn’t manage to get up the hill near Loch Hyne and have his conversation with a local chap who does it daily. 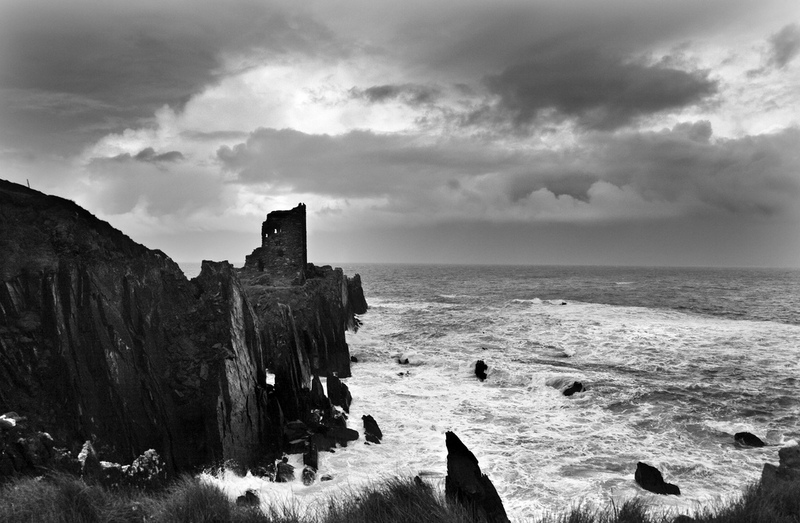 It is one of the most beautiful and/or dramatic places depending on the weather.